Fish oil and vitamin D don’t stop cancer or heart trouble - Healthcare Asia Daily News | Asia's Leading News and Information Source on Healthcare and Medical Industry, Medical Technology, Healthcare Business and R&D, Healthcare Events. Online since 2010. : Healthcare Asia Daily News | Asia's Leading News and Information Source on Healthcare and Medical Industry, Medical Technology, Healthcare Business and R&D, Healthcare Events. Online since 2010. 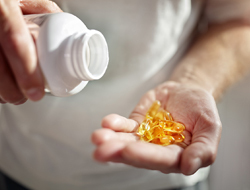 A widely anticipated study has concluded that neither vitamin D nor fish oil supplements prevent cancer or serious heart-related problems in healthy older people, according to research presented Saturday at the American Heart Association Scientific Sessions. Researchers defined serious heart problems as the combined rate of heart attacks, stroke, and heart-related deaths. Doctors have been studying the supplements’ true value, given their tremendous popularity with patients. A 2017 study found that 26% of Americans age 60 and older take vitamin D supplements, while 22% take pills containing omega-3 fatty acids, a key ingredient in fish oil. The new study also suggests there’s no reason for people to undergo routine blood tests for vitamin D, said Rosen, who co-wrote an accompanying editorial. That’s because the study found that patients’ vitamin D levels made no difference in their risk of cancer or serious heart issues, Rosen said. Even people who began the study with clear vitamin D deficiency got no benefit from taking the supplements, which provided 2,000 international units a day. This amount is equal to one or two of the vitamin D pills typically sold in stores. A recent Kaiser Health News story reported that vitamin D testing has become a huge business for commercial labs – and an enormous expense for taxpayers. Doctors ordered more than 10 million vitamin D tests for Medicare patients in 2016 – an increase of 547% since 2007 – at a cost of US$365 million. “It’s time to stop it,” said Rosen of vitamin D testing. Dr. Jo Ann Manson, the study’s lead author, agrees that her results don’t support screening healthy people for vitamin D deficiency. When researchers singled out heart attacks – rather than the rate of all serious heart problems combined – they saw that fish oil appeared to reduce heart attacks by 28%, Manson said. As for vitamin D, it appeared to reduce cancer deaths – although not cancer diagnoses – by 25%. But slicing the data into smaller segments – with fewer patients in each group – can produce unreliable results, said Dr. Barnett Kramer, director of the cancer prevention division at the National Cancer Institute. The links between fish oil and heart attacks –and vitamin D and cancer death – could be due to chance, Kramer said. Manson and her colleagues plan to publish data on the supplements’ effects on other areas of health in coming months, including diabetes, memory and mental functioning, autoimmune disease, respiratory infections, and depression. “People should continue to focus on known factors to reduce cancer and heart disease. Eat right, exercise, don’t smoke, control high blood pressure, take a statin if you are high risk,” said Dr. Alex Krist, a professor of family medicine and population health at Virginia Commonwealth University.